Round Containers with Lid 300 ML offeredcome in functional capacity of 300ml and come in superior grade PP material finish which makes these provide for lasting performance. Further, these food containers are also environmentally friendly and provide for microwave safe usage. Some of its features include provide for superior resistance to oily and fatty foods; dishwasher and freezer safe; also available in other volume capacities; superior temperature resistance from -20° C to +120° C; allows for reuse and recycling. 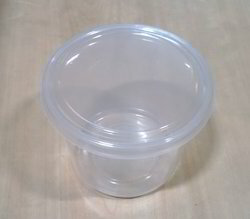 These are PP Round Containers available in various sizes. These can be used to pack food items with gravy, bakery items like cookies, namkeens, dry fruit, etc. These can be used with lid and are also sealable. With the support of our talented team of professionals, we are involved in offering best quality of Round Containers with Lid 200 ML. 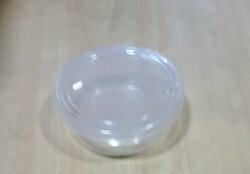 this Round Containers with Lid 200 ML is extensively used for curd, dal, vegetables, snacks, toffees, etc. Further, the offered products are available in the market in bulk. 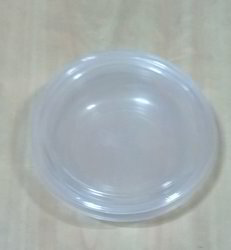 Round Containers with Lid 500 ML offeredcomes in quality construction finish and provides for durable usage. These excellent quality PP food containers are made available by us in functional capacities of 500ml. Some of its features include available with suitable lid support; environmentally friendly and nontoxic finishes; provides for microwave safe usage; made from strong heat resistant plastic for durable usage; allows for reuse and recycling; suitable for transportation of hot foods and cold food. Round Containers with Lid 750 ML offeredcome in functional capacity of 750ml and come in superior grade PP material finish which makes these provide for lasting performance. 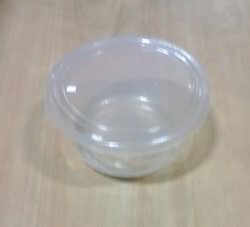 Further, these food containers are also environmentally friendly and provide for microwave safe usage. Some of its features include provide for superior resistance to oily and fatty foods; dishwasher and freezer safe; also available in other volume capacities; superior temperature resistance from -20° C to +120° C; allows for reuse and recycling. 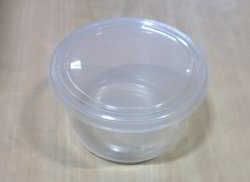 Round Containers with Lid 1000 ML offered comes in quality construction finish and provides for durable usage. 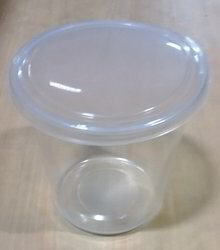 These excellent quality PP food containers are made available by us in functional capacities of 1000 Ml. Some of its features include available with suitable lid support; environmentally friendly and nontoxic finishes; provides for microwave safe usage; made from strong heat resistant plastic for durable usage; allows for reuse and recycling; suitable for transportation of hot foods and cold food. 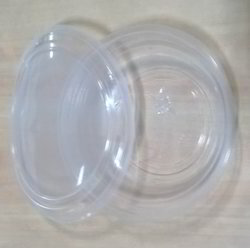 Looking for Round PP Containers ?